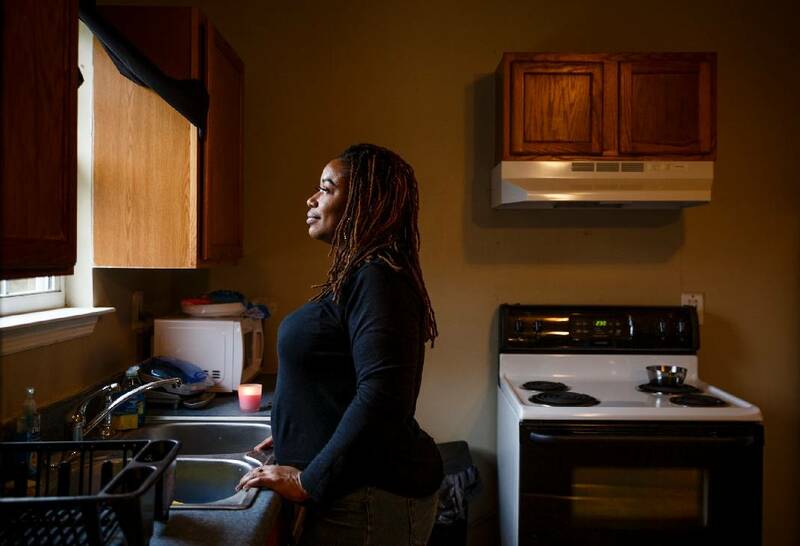 Dareece Carruthers poses for a portrait in the kitchen of her new apartment on Thursday, Dec. 27, 2018, in Chattanooga, Tenn.
"It's like I have a clean sheet of paper," she said. "I just feel optimistic, I do. I don't know anybody, and I have no distractions. I can stay focused and know what I need to do. It feels good." 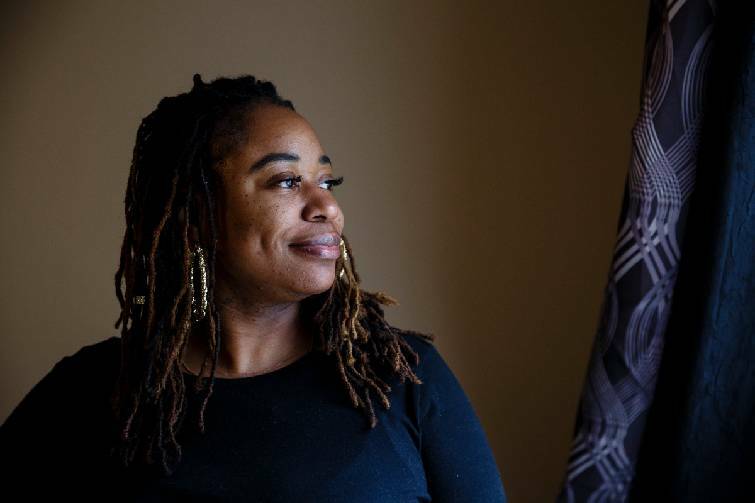 Dareece Carruthers poses for a portrait in her new apartment on Thursday, Dec. 27, 2018, in Chattanooga, Tenn.
Carruthers is in her own apartment on Ocoee Street just two months after being released from Next Door, a transition program for females coming out of the prison system. She spent 175 days at Next Door after six and a half years in three Tennessee prisons for the criminal homicide of Jocquis Guinn, the father of her two children. The Chattanooga Times Free Press Neediest Cases Fund provided Carruthers with her first month's rent of $650. "In my final 75 days, I had to develop a housing plan for myself," Carruthers said. "Time was getting short on the apartment, and the first month's rent was the last piece. I wouldn't be here today without that help." Carruthers started dating Guinn when she was 14, eventually living with him and their children. Over time, domestic violence became part of Carruthers' life and, due to her choice not to involve law enforcement, the abuse remained virtually unknown to her family or neighbors in north Nashville. "It was an abusive relationship, but I just didn't pick up the phone and call the police," said Carruthers, now 34. "I was constantly getting abused mentally, emotionally and physically. I endured a lot of stuff for a lot of years and didn't tell anyone. One night he was beating on me, and I just picked up a knife and stabbed him. To this day, I still blame myself. He didn't deserve to die." The Metro Nashville Police Madison Precinct's Facebook page still carries the account from June 9, 2012, when police responded to a call at 3212 Woodstock Drive and found the 33-year-old Guinn dead. According to the report, "the investigation showed that Carruthers stabbed Guinn during an argument at 5:15 a.m. There is no previous history of domestic violence between Carruthers and Guinn known to the police department. Carruthers has been in custody since the stabbing." "I was just doing what I wanted to do, doing what I needed to do to survive," Carruthers said. "After getting all the write-ups for getting into trouble, I just realized that I couldn't keep going down this route. It sounds selfish, but I had to go to Memphis because I knew I had to make myself better in order to help my children when I got out." "Right now, I am just wanting a second job and a chance to settle into living here," Carruthers said. "Eventually, I will take the cosmetology test."